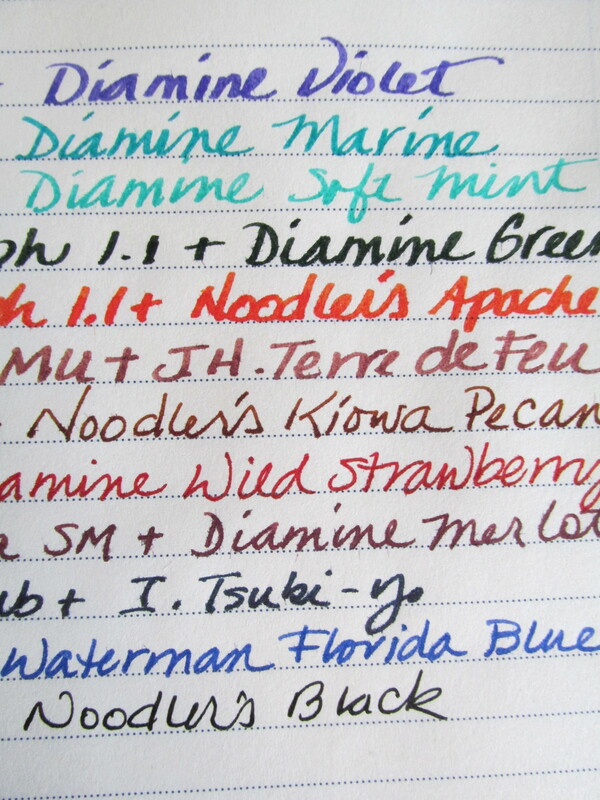 Proof positive that Noodler’s Black deserves its #1 ranking on my list of favorite inks. The paper is Greenroom recycled from Target. Made in Taiwan, it feathers and bleeds exactly like Moleskine. However, it is inexpensive and pencils do very well on it so the composition book has a use in my work flow. No significant show-through with pencil and amazingly little with Noodler’s Black. Any wonder I always have a pen loaded with it? Perhaps a comparison of inks that tame naughty paper is in order. Which inks would you nominate for this list? Noodler’s X-feather and EEL. Kon-Peki. Thomas, those are interesting suggestions. I don’t think I have X-feather, but do have the other two. Is there a particular color of Noodler’s Eel you would recommend? Blue is the only one I am certain I have, but will check my samples if you think I should try another. Thanks for the suggestions. I have Carbon Black but not Registrar’s. Perhaps an ink order is in order. What a wonderful demonstration! Thank you! I’d be interested in seeing the results for a blue ink. I’m using Leuchtturm 1917 and I see a lot of see through for most of my blues. Your comment prompted a post about Leuchtturm1917. The paper does allow show-through and for many inks, but the performance is in line with most paper of similar weight. 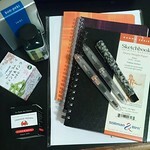 Have you tried Clairefontaine or Midori? If you are using wide, wet nibs, show-through might be inevitable. WOW! Thanks so much for the Leuchtturm 1917 review. I don’t use Clairefontaine or Midori because I really like the form factor of the Leuchtturm over almost all the other notebooks, plus price and the paper quality is very nice (beyond the show through). I’m a little late to reply, but I second the eel inks! Noodler’s Eel Turquoise (in a fine preppy) works really great on the cheap copy paper I use at work. Thanks for reminding me to test the Eel Blue on hand with a variety of papers. Could there be a Noodler’s post in my future?